The heat of Nevada is sweltering at best, so you need to find ways to cool off, especially during the summertime. 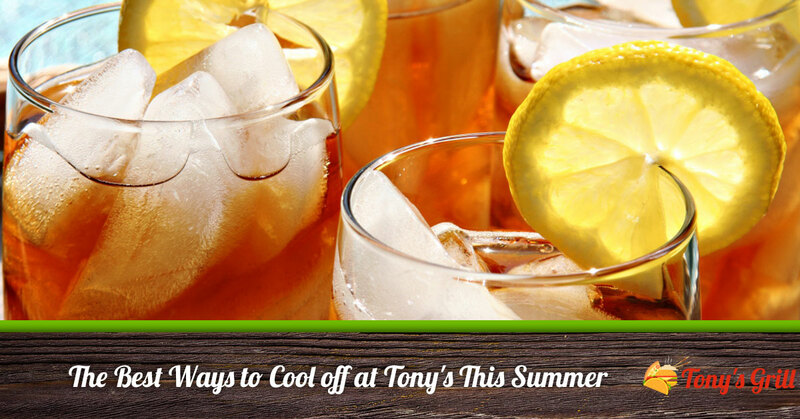 When you’re looking for the best restaurants in the area to chill at, Tony’s Restaurant is the place to go! Here are the ways we can keep you cool this summer. Go beyond a plate full of iceberg lettuce and dressing. Tony’s has delicious, Instagram-worthy salads for every palate. Our Pear Salad is the perfect fusion of sweet, tart, and savory, and it’s available with shrimp or chicken. Or try our classic Chef Salad with all the fixings, for a healthy and filling choice. We have eight amazing salads to choose from, so you’ll never be disappointed. We have some incredible options for everyone’s favorite summertime treat: ice cream. Get one or two scoops of vanilla, chocolate, or strawberry ice cream, all of which are absolute perfection on their own…or even better with our apple pie. Or, if you want to mix things up a bit, try our Cookie & Ice Cream. Stay hydrated with one of our many ice-cold drinks. Iced tea is a sure way to beat the heat, or quench your thirst with a sweet, mouth-puckering lemonade. If you need a little bit more pep in your step, our huge offering of soft drinks will whet your whistle while giving a bit of a caffeine boost (perfect for when you’re on a road trip!). At Tony’s we pride ourselves on keeping a friendly environment for everyone. Relax and take a load off (we have air conditioning!) and you’ll feel refreshed in no time. Ours is one of the best local restaurants in Pahrump, and whether you’re here in time to eat from our breakfast, lunch, or dinner menu, our fusion cuisine will guarantee you leave happy. Come visit Tony’s Restaurant today. Our fusion menu of Mexican, American, Chinese, and Italian food makes ours the most delicious local diner in Pahrump! Find us at 2610 North Blagg Road. See you soon!